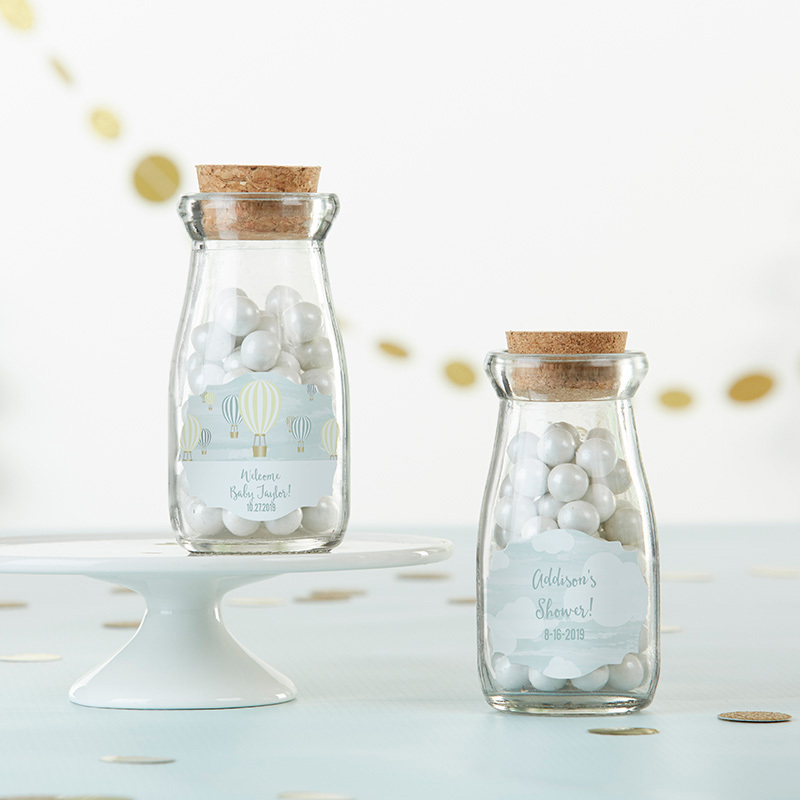 Love is soaring for this newest addition to the world, and our Personalized Milk Jars are the perfect complement to your gender neutral shower or gender reveal party. 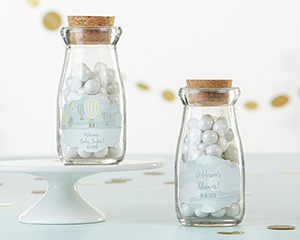 Featuring your choice of an adorable hot air balloon sticker design or smiling, fluffy clouds, these milk jars add an extra layer of whimsy and fun to any celebration. Versatile enough to hold treats, confetti or even small floral arrangements, each milk jar can be further customized with up to three lines of text, such as baby's name, the event date or a short message.